This is all of our items that are currently for sale, please contact us to purchase. We also accept layby. The last chance to buy one of our curved cleavers as we are not making anymore of them. 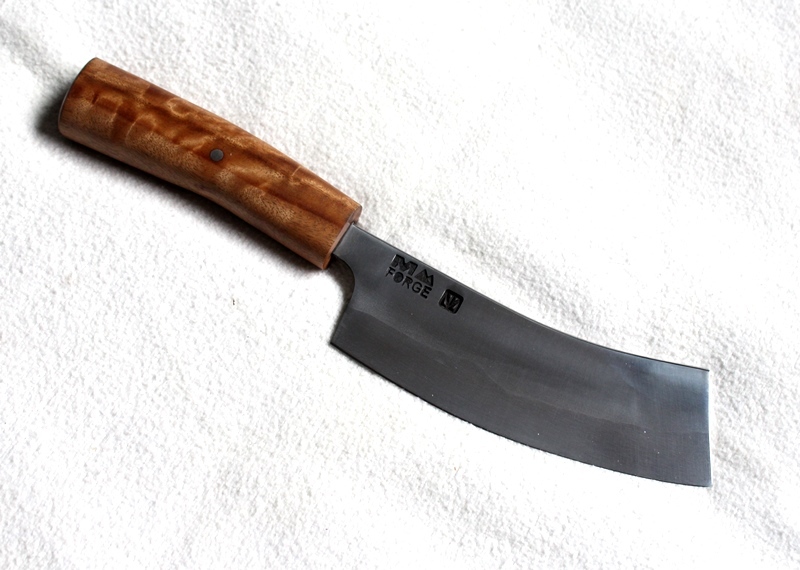 This one has a 1075 high carbon steel blade and a beautifully figured blackbutt timber handle. Total length: 300mm, blade length: 170mm, blade width: 47mm, weight:217g. 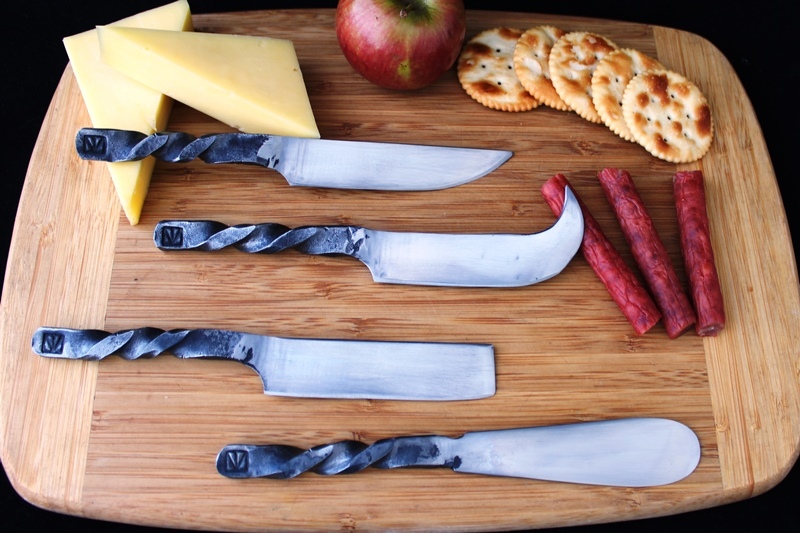 Cheese knife set, each made from one piece of high carbon steel with a flattened twist handle. 4 knife set consists of a sharp knife for cutting cold meats and bread,a cheese knife, a cheese mini cleaver and a pate knife. Made by our apprentice Tane Crawford. 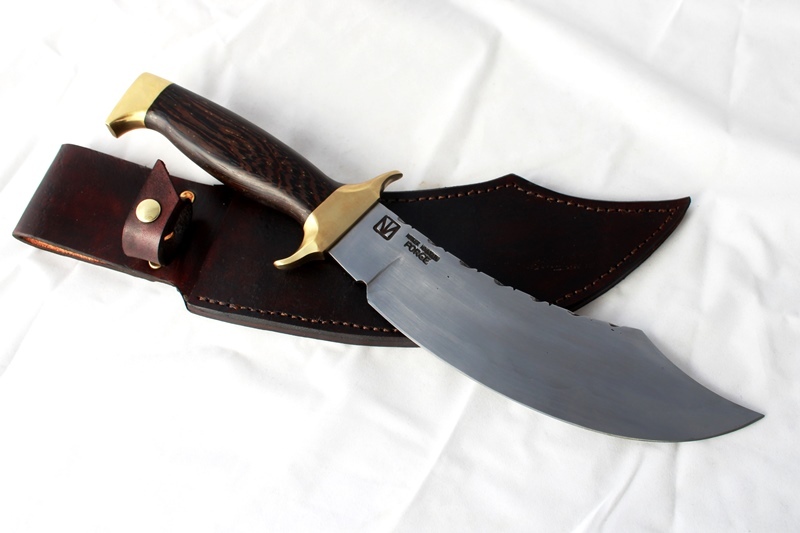 A large bowie style knife with almost a pirate sword shape to the blade. 1075 high carbon steel blade with hand filed thumb grip on the spine, full tang ending in a solid brass pommel with a brass cross guard. Handle is spotted black wenge and it comes with a stacked leather sheath. Total length: 370mm; blade length: 225; blade width: 50-55mm; weight: 507g; total weight: 677g. An organic blade shape and beautifully polished buffalo horn handle make this a unique knife. 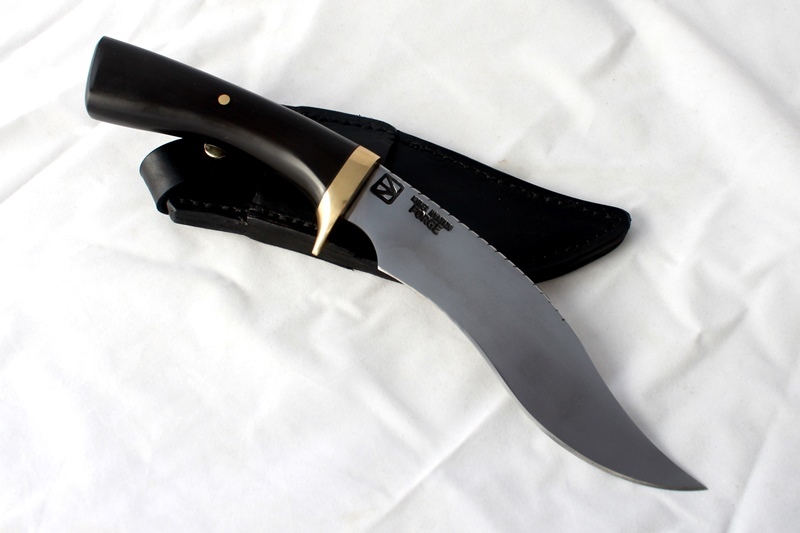 It has a 1075 high carbon steel blade with hand filed thumb grip on the spine, a brass bolster and a leather sheath.